Please excuse the photo - I hung this in my office when someone sold my chandelier the other day, so this light missed the studio photo call. 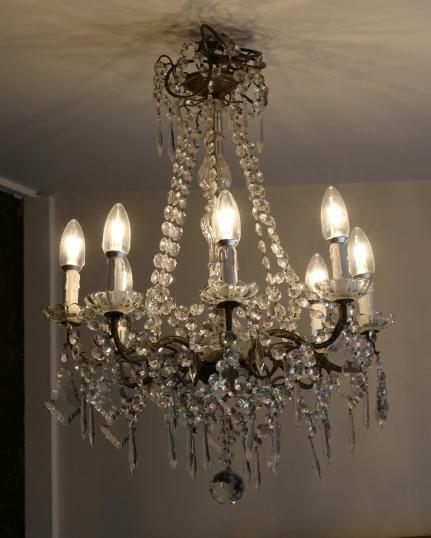 It is a very nice eight light 1940's waterfall chandelier. Rewired to New Zealand standards. If you are interested in this piece or would like more details please call us on +64 9 529 1660 or email info@js.co.nz quoting #102-11.